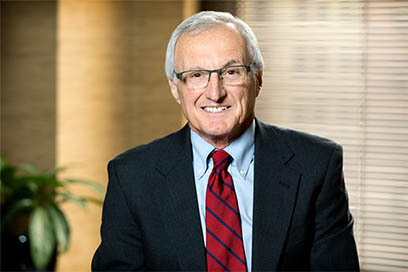 Louis Kushner’s concentration of practice is in the representation of executives, minority shareholders, and professionals such as attorneys, CPA’s, physicians, teachers and college/university professors with respect to their employment matters. He also has an extensive mediation practice, having mediated over 700 cases. He is a Mediator and Early Neutral Evaluator for the United States District Court for the Western District of Pennsylvania. 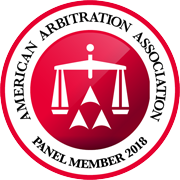 He is also a mediator for the American Arbitration Association National Panel of Mediators, FINRA, and the National Employment Mediation Services Panel. He served as Senior Editor for a book on alternative dispute resolution in employment law published by BNA. He has mediated a wide range of cases, including class actions and multiple party cases, sexual harassment, discrimination, and other employment, commercial and tort cases such as franchise, contract, construction and business and corporate disputes. 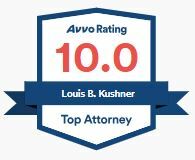 Louis is an Elected Fellow of the College of Labor and Employment Lawyers, and he has been selected as one of the Best Lawyers in America in every edition of The Best Lawyers in America® since 1987. 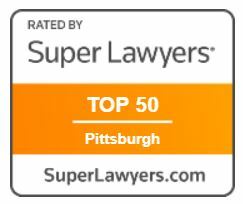 He was chosen as Best Lawyers’ 2010 Pittsburgh Labor and Employment Lawyer of the Year and as Best Lawyers’ 2015 Pittsburgh Mediation Lawyer of the Year. He has been named a Super Lawyer every year since 2005. 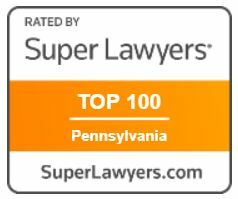 In addition, he has been recognized as one of The Top 100 Pennsylvania Super Lawyers and one of the Top 50 Pittsburgh Super Lawyers. Louis is rated AV® Preeminent™ by Martindale Hubbell. Based on his reputation and experience, Louis is often asked to speak to bar association groups, universities, law schools and other professional and educational groups both nationally and internationally. He served as a member of the Board of Directors of the Pennsylvania Bar Institute, where he frequently volunteers as a speaker, course planner and as chairperson of its Employment and Labor Law Curriculum Advisory Committee. He was honored by the City of Pittsburgh by having October 28, 2008 declared by proclamation “Louis B. Kushner Day” in recognition of 40 years of service as a nationally distinguished Mediator and Labor and Employment attorney with the law firm Rothman Gordon and the Pittsburgh community. He is a prolific author of numerous scholarly articles published in both general circulation newspapers and journals distributed to the legal community. The following are just a small sample of the more than 50 articles he has authored: Non-Union Employees Win Weingarten Rights, Lawyers Journal, October 6, 2000; Supreme Court Decisions, and Other Relevant Decisions in Our State and Region Regarding Developing Law, Pennsylvania Bar Institute, PBI No. 2000-2627; Mediation of Employment Claims, Pennsylvania Bar Institute, PBI No. 2000-2627; The Executive’s Contract: Terms and Creative Compensation Packages Such as Stock Grants and Deferred Compensation, PBI No. 2001-2695; The Year in Review: What’s Been Happening in Employment Law? Pennsylvania Bar Institute, PBI No. 2001-2864; Layoffs: Avoiding Reduction in Force Pitfalls; Pennsylvania Bar Institute, PBI No. 2002-3040; The Year in Review: What’s Been Happening in Employment Law? Pennsylvania Bar Institute, PBI No. 2002-3262; and Executive Severance Packages: Reforming Them, Negotiating Them in a Bad Economy, Pennsylvania Bar Institute, PBI No. 2003-3236. Louis received his B.S. in Accounting from the Pennsylvania State University and his J.D. from the University of Pittsburgh School of Law. Louis is a member of the American, Pennsylvania and Allegheny County Bar Associations and chaired both the Pennsylvania Bar and Allegheny County Bar Associations’ Labor and Employment Law Sections. He is past co-chair of the American Bar Association Employee Rights and Responsibilities Committee.